TransFlo Instruments, design, manufacture and implement Fuel Management and Fuel Monitoring systems across a complete range of organisations. If you are a small fleet business, or SME, with just a few vehicles or a large interconnected Distribution Organisation, with multiple locations around the Country with 1000’s of vehicles supporting your complex and crucial Logistic Supply Chain, TransFlo can provide Class-Leading Fuel Management Systems to keep your fleet moving, whilst maintaining accurate accounting best-practice and ensuring the integrity and security of your valuable liquid inventory assets. We work with Clients to clearly understand their requirements and engage early on any project, to assist in delivering a Fuel Management System that fits your business perfectly and which is cost effective. We are fortunate to have committed, experienced technical engineers throughout the UK that will install, commission and support your chosen system. For over 40 Years, we have been providing Fuel Management to some of the UK’s largest Fleet Operators, helping them to deliver best-practice Operating Procedures and “Drive” their businesses. With fuel prices constantly increasing, the need to monitor what your organisational costs are has become paramount. There is an almost daily need to analyse your fleets efficiency by comparing driver and vehicle performance as well as doing whatever it takes to fight against fuel-theft and bad-practice. In addition to our products and services, TransFlo are committed to assisting organisations to reduce their overall fuel costs and advise on some little known or often overlooked best practice that will help your organisation to consider Vehicle Safety as well as reduce your environmental impact through the use of Info Pages. 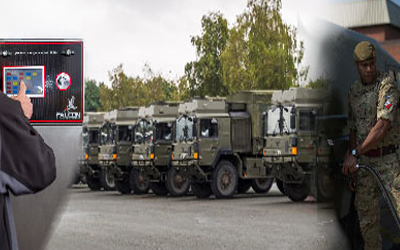 As well as our Fuel Management Systems, we also provide a wide range of refuelling equipment and installation services , including, Fuel Dispensing Pumps, Fuel Storage Tanks, Tank Gauging Systems, Flow Metering Equipment and Ancillary Products as well as Spares and Expense Items to keep your current system and equipment in top shape. TransFlo Fuel Management Systems controlled by Fuel Manager provides an intuitive, easy-to-use set of accounting and reporting tools, providing accurate, measurable and complete Management Information. Accessed from just about anywhere, you are able to carry your fuel inventory data in your pocket or equally, delve into structured reports and usage analytics from your Office. Developed alongside some of the Fuel and Fleet Management industry leading organisations, we have evolved from legacy, simplistic reporting, to industry best practice, inventory control. TransFlo Fuel System Security is primarily achieved using a range of recognition and authorisation devices which restrict, control, record and quantify your daily refuelling transactions. Centrally managed and providing 24 hour a day access to your fuel management system, whilst allowing for cross-organisation transactions to take place, if required. With separate or combined vehicle and driver authorisation, you get the option to bolt down you valuable Fuel Management System assets depending on your operational situation. 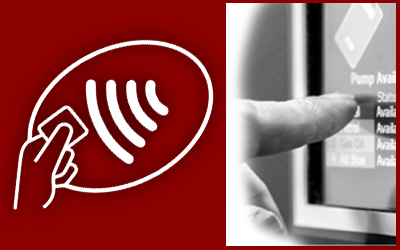 Active, Passive or even Transparent recognition can be implemented for ease. Our All-New Falcon Fuel Management System offers true touch-screen capability. Designed responsively and elegantly whilst being built to last and sustain the rigours of what we all agree to be a fairly challenging environment. Our equipment operates in extremely diverse environments including a robust touch-screen interface that is daylight readable, waterproof and designed to work with or without gloves, whatever the weather. 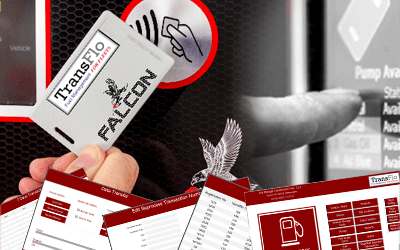 Falcon will transition seamlessly into your organisation and give you instant control, security and integrity of your valuable Fuel, your drivers and your vehicles. How good does that sound ? All TransFlo Fuel Management Systems are installed and implemented by our in-house Specific Equipment Specialists and offer a friendly and professional service to all our clients. Please select a link below for more information. With engineers placed strategically around the UK, we are always on call to deal with whatever system related issues you may experience. First visit resolution is always our goal, ensuring the highest levels of customer satisfaction.